On June 8, 1979, Derek Trucks came into our world and it wasn’t long before he grew into the guitar phenomenon that he is today. To celebrate his 39th birthday, we’ve compiled a few of our favorite videos that show Trucks and his development as one of the most important guitarists of his generation. His focused yet stone cold expression has made many ask themselves: what is Derek like off the stage? How does a young man with so much talent at such a young age carry himself? The short answer is, very humbly and professionally. Below is an interview in his early playing days. It would only get better as Derek Trucks grew older. His blues and slide playing would continue to grab the attention of audiences everywhere and would leave people jaw-dropped and speechless as he mesmerized concertgoers with his incredible phrasing and technique. Below is a great example of this technique and ability. In 1994, by the time he was 20 years old, Trucks formed his own band, “The Derek Trucks Band.” Armed with phenomenal musicians, some who would continue on DT’s musical journey, Trucks continued his career in wonderful fashion. Their music caught the attention of fellow blues singer and guitarist Susan Tedeschi, who eventually became his partner in music and life. Check out the duo combining forces for an exquisite performance. 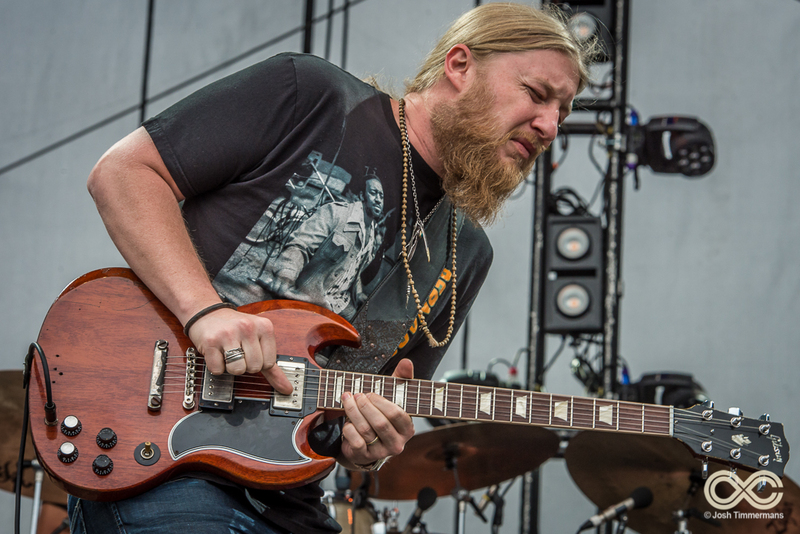 One thing Derek Trucks is known for is his breathtaking solos, and how he can turn the slide into a work of magic. Check out the compilation below for some of his finest moments on stage. Remember how Derek Trucks made a name by covering “Layla” back in 1993? Clearly, Eric Clapton found it just as impressive as we did, and would invite Trucks to perform with him and his band on the “Crossroads Guitar Festival” tour in 2007. This collaboration gave fans an unforgettable show filled with priceless musical moments, something Trucks has seemed to have gotten used to over his career. Even when Trucks was one of the busiest guitarists of the blues-rock world, he was able to churn out incredible performances with the Derek Trucks Band. Check out this magical version of “Crow Jane,” where he and vocalist Mike Mattison (who has continued in Tedeschi Trucks Band, and remains a staple in Derek’s projects). Years later, Derek Trucks and Susan Tedeschi would combine forces and give the musical world perhaps one of its greatest treasures of all time, Tedeschi Trucks Band. This band was founded on collaboration and have only continued to grow into a powerhouse of soul and blues rock that hits you like a thunderclap. The band would keep on growing and perform all over the world and has produced unforgettable collaborations that bring out the best of the music they have to offer. One of these collaborations can be seen below, which would be a preview to the magical “Mad Dogs and Englishmen” set at LOCKN’ 2015. It can be easy to get caught up in the musical magic that this couple produces! Luckily for us, they are more than willing to speak about their story and how their band came to be. Check out this interview about their origins as a band and where they are headed for the future. Ever wonder what kind of gear Derek Trucks uses? Watch Trucks shows us his rig rundown and what gear it takes to give us insane performances night after night. Check out this “Rig Rundown” from Premier Guitar! So here’s to you Derek Trucks! We can’t thank you enough for your incredible commitment to music, and what you have brought to the musical community as a result. You’ve kept on growing into one of the most influential musicians our community has ever seen. Here’s to 39 years and many more to come. Keep on growing!